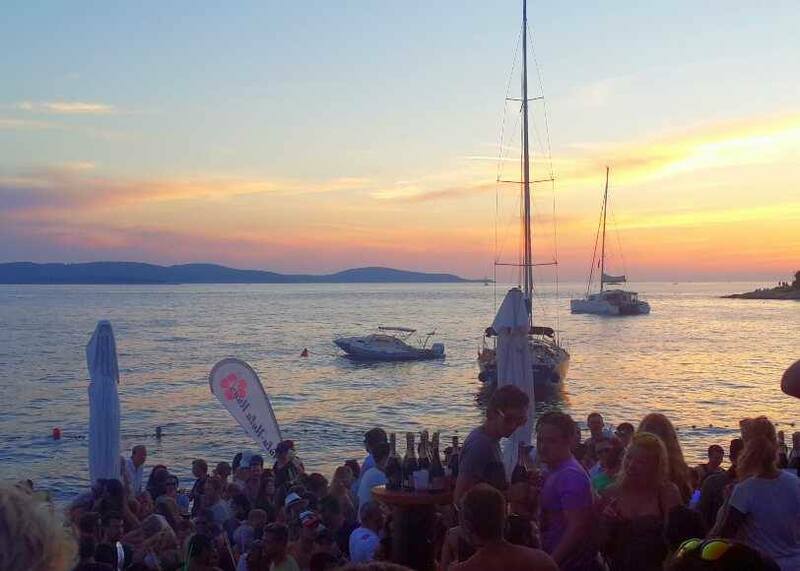 Sail Croatia: The best week of your life or overrated? Sail Croatia: Incredible or overrated? You have probably heard of the newest European travel phenomenon of sailing Croatia, along with countless Facebook photos labelled ‘Sail Croatia- the best week of my life! !’ or something to that effect. When I was planning my trip to Europe, every person I asked who had done it, talked about it with wide eyes, a huge grin and could barely formulate sentences as they were so busy internally reminiscing. So naturally this was one of the first things I booked, and it was also the thing me and my friend were most excited for on the trip. However it was completely different to what I anticipated and blew my budget out of the water. Put it this way, I spent two weeks travelling through Norway (one of the most expensive countries in the world) and spent about half as much as I did in one week on Sail Croatia. So I thought I’d relay some of the realities of the week and tips for those wanting to book it. What is Sail Croatia? If you surprisingly haven’t been inundated with this on your newsfeed, it is a dream holiday in Croatia spending 7 nights island hopping a different place each night. It is pretty much a paradise of sun baking and partying. You travel with a fleet of 6 or more boats who sail in the same direction as you and dock in the same towns. These are run mostly by the travel companies Contiki, Busabout, Sail Croatia, Traveltalk and Top Deck (with a few more). There are 20-40 people on each boat and you see them all each night at the relevant Sail parties which are organised for everyone. Which company should you choose? This is often the first thing you research once you decided to go. Between Contiki, Sail Croatia, Busabout, Topdeck, Traveltalk and more, they all seem similar and you’re often deciding based on the price. 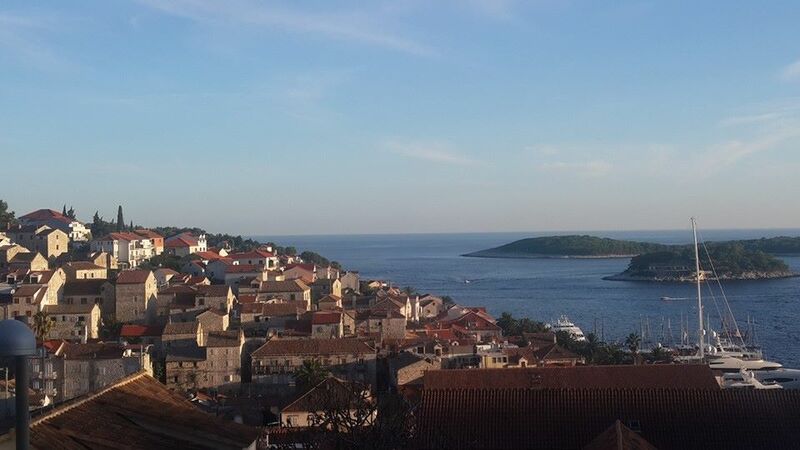 The cheapest you will get is with Sail Croatia or Traveltalk for around $1000 for the week (during peak season of mid June to mid August), whereas with the other companies you are looking at a minimum of $1800. I booked with Sail Croatia, mainly because it was the cheapest option out of all of them for $950. Companies like Contiki, Topdeck and Busabout have guides on their boat who organise group dinners, tell you all about the island and keep you up to speed with the parties that night. Usually while travelling I don’t like this kind of restrictive guidance as you tend to miss most of the city for the places they choose to take you. But in this scenario, when you’re out at sea all day, have no idea where you’re going and dock at a small town that is mostly based off this tourism, it’s actually really beneficial. Sail Croatia had a rep on every few boats, and popped in most times we docked. However for the rest of the time there wasn’t one and we sometimes felt out of the loop and had to chase up tickets to events and activities. However the trade off was that it was the cheapest option out of all the companies, and you had more freedom to do what you want. Apart from that, there wasn’t a real lot of difference between them. Every boat docks at the same place and goes to the same party each night. However you will notice when you walk through the other docked boats from the other companies that even their cheapest option is quite luxurious (because they were often paying double). What type of boat should you book When you book you can choose from several types of boats, ranging from budget party boats (aimed at young people) to super luxurious ones (marketed at older people or professionals), as well as above or below deck within these options. I chose below deck on the ‘Navigator’ boat marketed for young people for $950. This turned out to be the smallest boat, but the lack of luxurious facilities didn’t really matter as everybody spent all day on the top deck sun baking. However I did find that unless I was absolutely wasted drunk it was pretty impossible to get to sleep as below deck was so hot, so a lot of people slept on the top deck (which then you would wake up at 10 am totally sunburnt). Some boats have several levels with sunchairs and chill out areas, hot tubs, dance floors and bars, and others have none of that. It depends how much you care about the extras; not having those things didn’t really affect my week at all, but my friends who were on those boats seemed to have a better time than I did. So is it the week of a lifetime or totally overrated? A lot of my friends said it was the week that made their trip so incredible, so I had high hopes. However this wasn’t the case with me and many others, so I thought I would share some of the things I hadn’t expected! Pro: You get to see places that you never would if you did it on your own. I had no idea which Croatian islands or mainland towns to visit and that’s exactly why I booked it. Con: However, you barely actually see any of Croatia. More often than not we would dock at a place around 4-6pm so you would only have an hour or so to sightsee. For places like Hvar and Dubrovnik, this is DEFINITELY not enough time (you can spend days there) and you miss out on a lot. Soon enough it’s time to start drinking again on the boat before the party and your exploration is over. 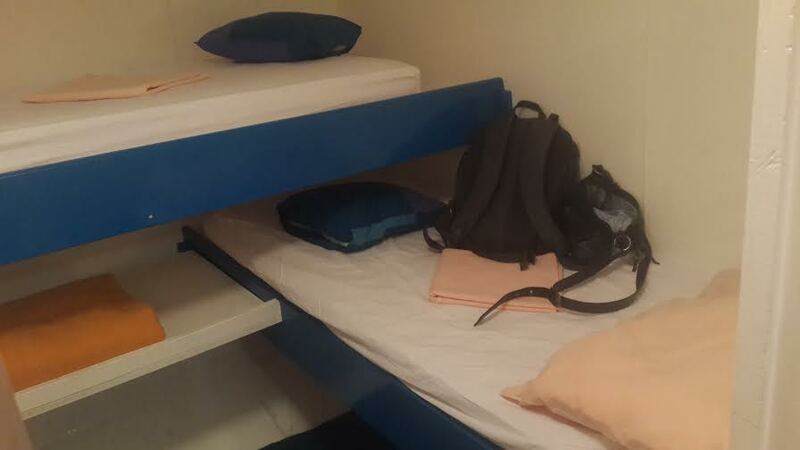 If you have experience backpacking and like to discover places thoroughly, you will not enjoy this. As I’m writing this I cannot even remember half the places we went to, probably because no one even asked half the time. Pro: You get to lie around on a lilo all day in the sun and drink! Con: Drinks are really expensive on the boat and it’s a tab system, so you splash cash all week and then get lumped with a huge amount to pay at the end. I bought alcohol from each island and brought it onto the boat to save money. This wasn’t technically allowed and some boats were stricter than others on it. If you’re drinking from the boat all week it’s the only way to save a fortune! Pro: You spend all day making new friends with the people on your boat and others. Con: Everyone is Australian (bar a few Kiwis usually) and often in big groups- think Kuta on a boat. For people who have travelled a lot by themselves or with another person, you will understand how frustrating this is for many reasons. For those who haven’t, you will think this is awesome as there are people from home who you can relate to. However this is definitely personal preference; I travel so I can meet people from all over the world and from the places I visit, so this was a bit disappointing. Is it overrated? I think this type of tour suits certain travellers and not others. I’d recommend it to people who haven’t travelled extensively around Europe or by themselves, as everything is facilitated for you and it’s an easy week. If you are on a budget, or want more immersion in other cultures than Australian then I wouldn’t recommend it, because you can have a better and much cheaper time doing it independently and you will just be disappointed like me! 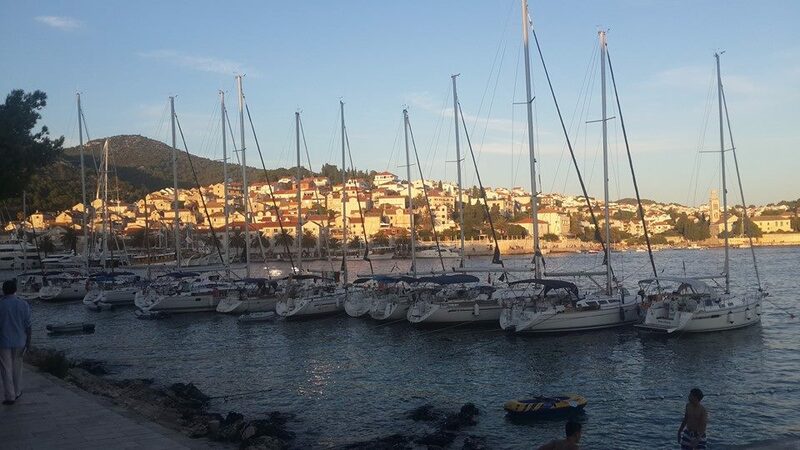 This entry was posted in Blog, Croatia, Sail Croatia, Tours and tagged Croatia, Dubrovnik, Hvar, island hopping, Sail Croatia, Split. Bookmark the permalink. Thanks for the good review. I am thinking about doing a similar trip and your review is basically what i was looking for. ☺ I just have a quick question. Besides the tour itself how much roughly did you spend on eveything else for the week? Hi Caleb! Thanks for your comment. I spent around AUD$2000 in the week and I made a lot of effort to save where I could. It was one of the most expensive weeks of travel I’ve experienced – one of the big cons of doing a tour I suppose! Hey, thanks for the reply. Wow haha thats a lot, and im sure others spend a lot more than that as well. Good review. I’ve always felt like a sailing trip is one of the tour types I haven’t tried and kind of want to. Your knowledge and insights make me feel like I’m potentially the type of person it’s not aimed at. I’d never be going back to some of these places, and if we don’t really get to see much besides toga parties then it may feel like an opportunity lost. Don’t get me wrong, sunning and relaxing is good, but I could do those types of activities anywhere, rather than using time that I should be exploring local activities. Still, I bet you’re glad you did it. Couple of days sailing within a wider tour would probably be best, however I couldn’t find a version like that in the tour company I prefer that doesn’t do multi-share (am getting old and travel with my partner, no time for multi-share around here! ), so am just doing another Europe tour. Ahh to have had more money in my 20s for travelling!